What does a construction company do when they go from owning 20 pieces of equipment to close to 100? They put better and more sophisticated systems into place. They buy computers and tracking software. They hire another heavy equipment mechanic to service and repair them. There are never enough hours in the day. There is always lots and lots to do. For this search, I am casting a wide net. The conversation is wide open. I’m offering more money, better quality of life, job security, and a better workplace. 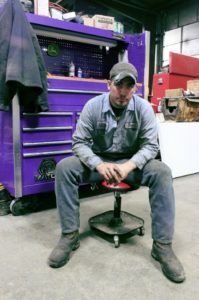 For each of the next two months I intend to hire a mechanic and/or a Manager to work in our heavy equipment-diesel shop. My first objective is to hire a person with great work ethic and dedication. What skills and experience you bring to the table is important—but secondary. If you’re a good fit for our organization, then we’ll find a way to use your particular skill set. If you can only work 1st shift, then we won’t ask you to work second. If your skills are in diagnostics and management, then you’ll most likely find yourself doing more smart work than oil changes. We’ve hired one of the best shop Foreman in Western New York. We just built a brand new bright white 3-bay shop where you can have one of your own. Side note: Apparently a lot of guys have been burned by crappy employers who don’t keep their word and abuse their employees. I am not asking you to make any commitments or sell your soul. Not yet anyways 🙂 I’m simply inviting you to have a conversation. Ask a lot of questions. Let’s exchange information. You won’t know if it’s a good situation until you dig around a bit.